As city officials evaluate potential public health and zoning issues, the city council of Henderson, Nevada, is considering implementing either a six-month or a year-long moratorium on any commercial activity concerning recreational marijuana. The Nevada Marijuana Legalization Initiative known as Question 2 was approved by the voters on November 8, 2016, but until regulations are ironed out stores are not allowed to sell recreational cannabis. 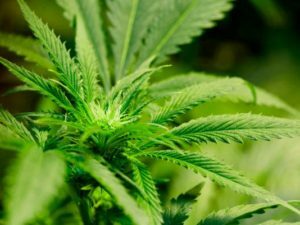 The state has until January 1, 2018 to create the regulations for production and sales, although it is possible that this will not take an entire year and that dispensaries could open within months. A ban would cover all areas of recreational cannabis cultivation and sales. This would include growth, production, testing and transportation, as well as applications for business licenses and the operation of commercial providers in storefronts. The Henderson dispensary currently has 15 business licenses issued for the production and sales of medical marijuana: six for cultivation facilities, three for production facilities, one for a combined cultivation and production facility and five for storefront dispensaries. The moratorium would apply to any proposed new businesses involving recreational marijuana. Residents and business owners on both sides of the issue have expressed their opinions about the moratorium. Arguing against the ban was Armen Yemenidjian. Yemedjian, who is the CEO of Essence Cannabis medical marijuana dispensary, emphasized Henderson’s potential loss of revenue from delaying the opening of recreational marijuana facilities. “The moratorium will allow Henderson residents the inconvenience of driving an extra mile or two to the next nearby dispensary that offers recreational cannabis,” Yemenidjian said. “Henderson could potentially lose out on a tremendous amount of tax dollars. All it’s doing is shifting consumer behavior in tax dollars from the city of Henderson to unincorporated Clark County or Las Vegas. Several cities in states such as Ohio, Maine and Florida have utilized the six-month moratoriums, but one-year bans appear to be much less common. In Nevada, city officials from both Las Vegas and North Las Vegas have stated that they are not planning to consider similar bans. But Henderson, a city that in 2014 passed a six month moratorium on accepting applications for both the construction and the operation of businesses involved in medical marijuana is not going to be rushed into action on recreational cannabis.